Released in October 1981, Elvis: Greatest Hits Vol. 1 was an attempt by RCA Records at launching a new series featuring the late American rock and roll singer, Elvis Presley. 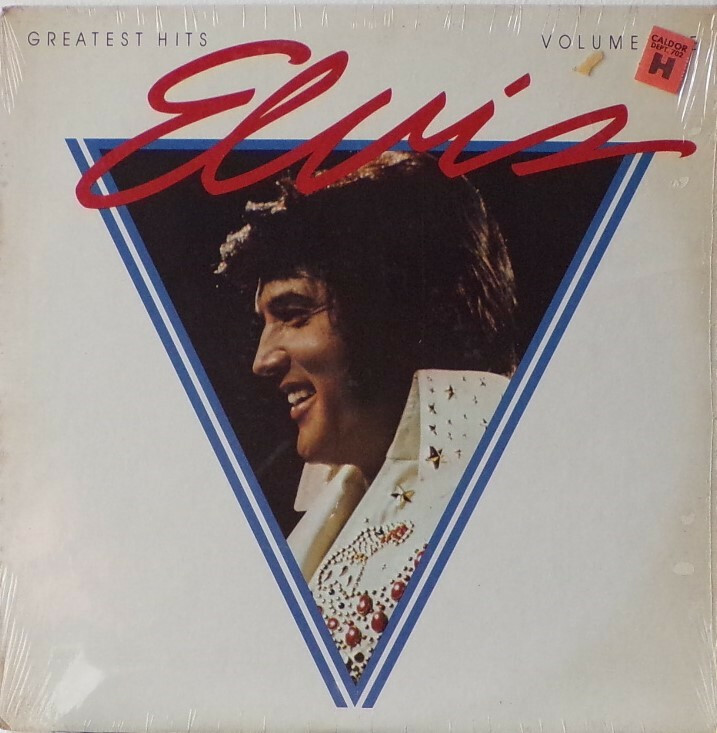 Ultimately, however, only this single volume was released in this particular series. 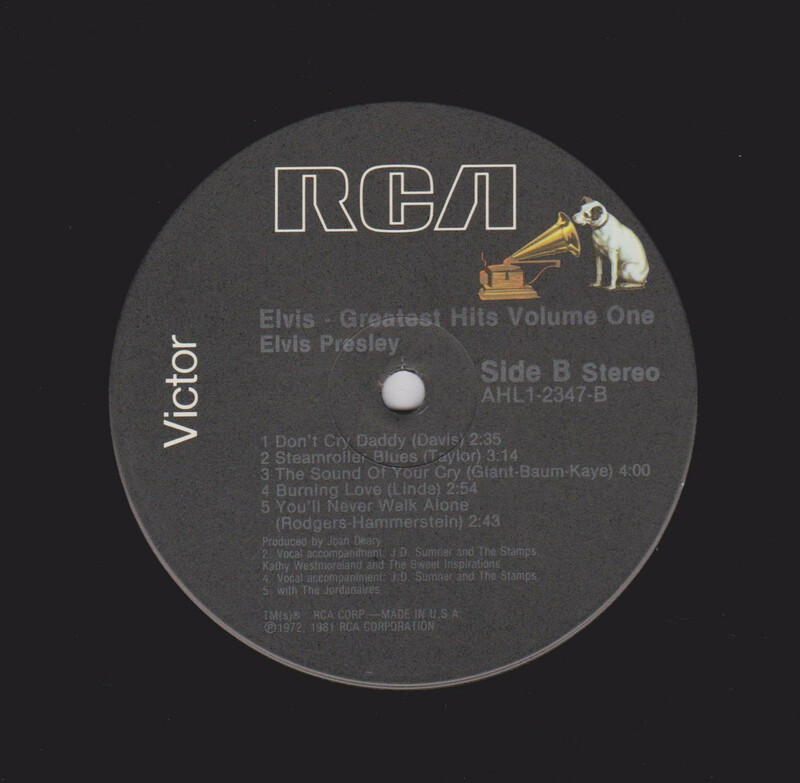 The album is thematically similar to the Elvis: A Legendary Performer series of albums RCA issued between 1974 and 1983, in that it consisted of a mixture of previously released recordings and previously unissued performances. 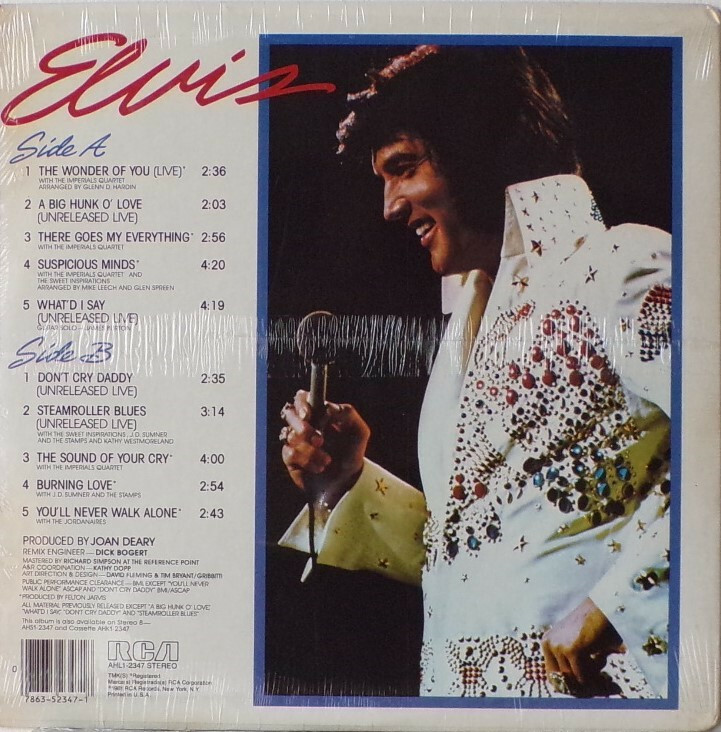 In this case, the unreleased material consisted of live performances from Las Vegas and Nashville. 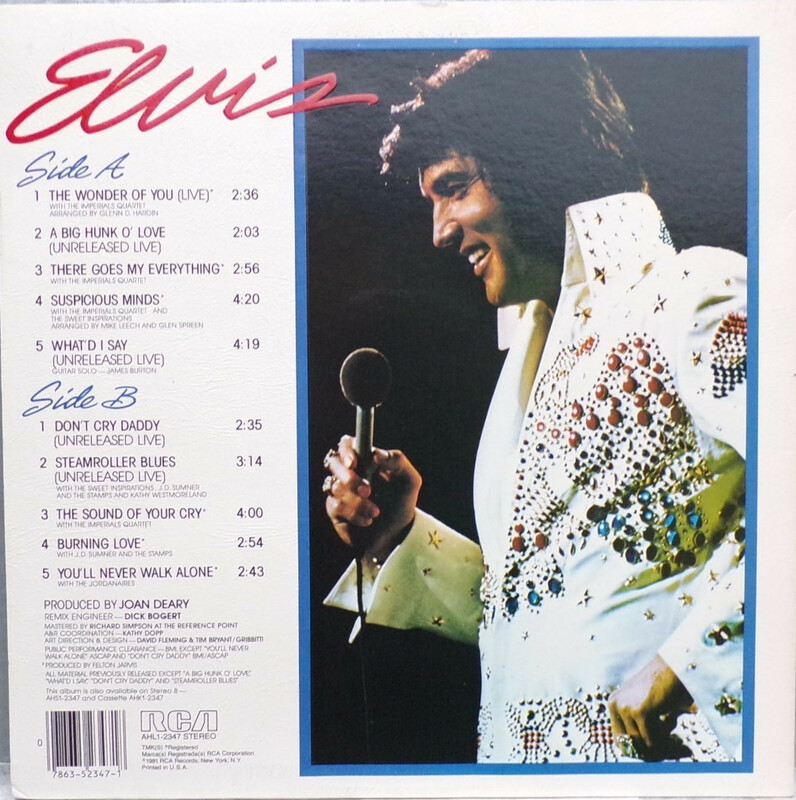 Rear Cover : Photo of Elvis. Catalogue number bottom left. Printed in U.S.A. bottom left. *NOTE* Second release with flat cover. This copy is sealed.